Samantha Law won 26 school records in cross country, winter track and spring track, All-County and All-State Honors, and a spot on the winter and spring Track National Championships. 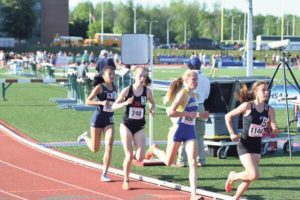 As she finished up her final season as a member of the track and field team at North High, Samantha Law went through the painstaking process that many high school seniors go through: college decisions. After much careful consideration and going back and forth, Law decided to attend Cornell University this fall to study biology and participate as a walk-on athlete on the women’s track and field team. Everyone’s college decision process is unique to them, but Law’s situation was particularly unique. She had recruiters, who hoped to find the best student athletes, watching her run against students from all over the country for the past few years. 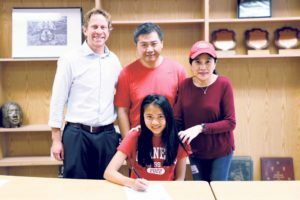 Although she was recruited by many schools, when it came down to making the final decision, she decided to commit to the only school that did not recruit her for its track team. Law had to work hard to prove to her family that track is more than an extracurricular activity, but her passion is one of the most important parts of her life. “For a lot of people, being an athlete made finding the right college so much more complicated for them, but for me it made it much easier,” said the runner. Upcoming high school seniors can learn from Law that choosing what to do after graduating high school is a decision focused solely on what’s best for you, regardless of anyone else’s opinions or expectations. For Law, being a student athlete meant having two full-time commitments. As a dedicated member of the track team, this was much more than just an extracurricular activity for her. Law’s successes on the track and cross country teams are extremely impressive. 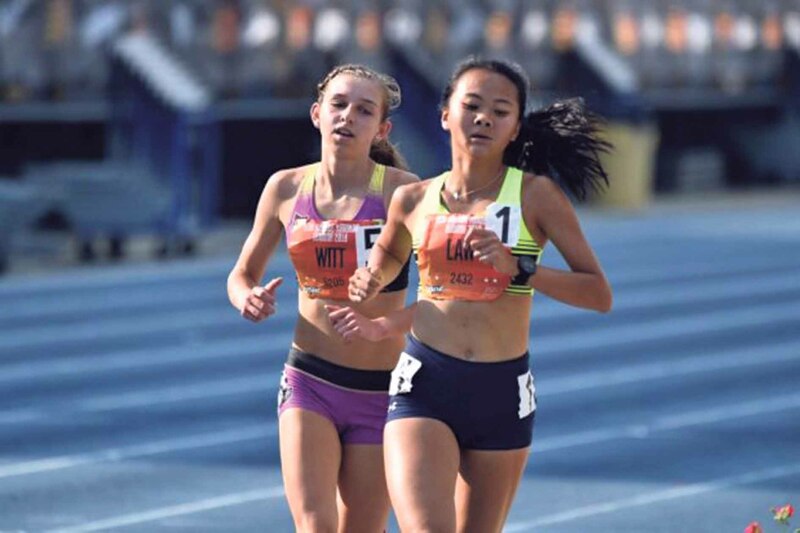 With 26 school records in cross country, winter track and spring track, All-County and All-State Honors, and a spot on the winter and spring Track National Championships, Law has left a mark on the Great Neck community as a talented, dedicated athlete and student. Law’s parents and coach looked on as she committed to be a walk-on athlete for the women’s track and field team at Cornell University. While Law’s statistics are so strikingly impressive, the recognition she now has was difficult to achieve. When asked about the support she gets from the people around her as an athlete, Law emphasized that she had to work hard to prove to her family that track was more than an extracurricular activity, but her passion and one of the most important parts of her life. The further she pushed herself, the more she was able to show her loved ones that track meant more to her than just any activity and it was a sport in which she could truly thrive. With the full support of her family behind her, Law was able to reach new heights and become a star on and off the field. Law left North High with a bright future ahead of her and a stellar record behind her. As a member of the 2018 graduating class, she helped make history at North High as one of the five students recruited for athletics while the recruitment number is usually around one or two students. As she moves on, she will be remembered as a trailblazer, her accomplishments always celebrated and motivating others at North High. Sara Zulfiqar is a college student who loves writing for the Great Neck Record.